Consolidated Standards for Reporting of Trials flow diagram. MLHFQ indicates Minnesota Living With Heart Failure Questionnaire; 6MW, 6-minute walk; V˙O2, oxygen intake. Change in quality of life assessed by the Minnesota Living With Heart Failure Questionnaire score. Limit lines represent SD. Background Preliminary evidence suggests that meditative exercise may have benefits for patients with chronic systolic heart failure (HF); this has not been rigorously tested in a large clinical sample. We sought to investigate whether tai chi, as an adjunct to standard care, improves functional capacity and quality of life in patients with HF. Methods A single-blind, multisite, parallel-group, randomized controlled trial evaluated 100 outpatients with systolic HF (New York Heart Association class I-III, left ventricular ejection fraction ≤40%) who were recruited between May 1, 2005, and September 30, 2008. A group-based 12-week tai chi exercise program (n = 50) or time-matched education (n = 50, control group) was conducted. Outcome measures included exercise capacity (6- minute walk test and peak oxygen uptake) and disease-specific quality of life (Minnesota Living With Heart Failure Questionnaire). Results Mean (SD) age of patients was 67 (11) years; baseline values were left ventricular ejection fraction, 29% (8%) and peak oxygen uptake, 13.5 mL/kg/min; the median New York Heart Association class of HF was class II. At completion of the study, there were no significant differences in change in 6-minute walk distance and peak oxygen uptake (median change [first quartile, third quartile], 35 [−2, 51] vs 2 [−7, 54] meters, P = .95; and 1.1 [−1.1, 1.5] vs −0.5 [−1.2, 1.8] mL/kg/min, P = .81) when comparing tai chi and control groups; however, patients in the tai chi group had greater improvements in quality of life (Minnesota Living With Heart Failure Questionnaire, −19 [−23, −3] vs 1 [−16, 3], P = .02). Improvements with tai chi were also seen in exercise self-efficacy (Cardiac Exercise Self-efficacy Instrument, 0.1 [0.1, 0.6] vs −0.3 [−0.5, 0.2], P < .001) and mood (Profile of Mood States total mood disturbance, −6 [−17, 1] vs −1 [−13, 10], P = .01). Conclusion Tai chi exercise may improve quality of life, mood, and exercise self-efficacy in patients with HF. Historically, patients with chronic systolic heart failure (HF) were considered too frail to exercise and, through the late 1980s, avoidance of physical activity was a standard recommendation.1 Current concepts regarding the role of exercise in the management of HF have shifted, with some studies suggesting that increased activity can have profound benefits on functional capacity, cardiovascular measures, and affective state, ie, in moderating the morbidity associated with deconditioning, exercise intolerance, and depression linked with sedentary behaviors.2Data from trials in patients with HF during the past 15 years examining treadmill, bicycle ergometer, or resistance training have also reported improvements in specific pathophysiologic aspects of HF, including attenuation of neurohormonal activation and ventricular remodeling, improved vasomotor function, and improved skeletal muscle morphologic characteristics and function.2-6 In 2009, a large multicenter clinical trial—Heart Failure: a Controlled Trial Investigating Outcomes of Exercise Training (HF-ACTION)—reported that exercise training conferred only modest, yet statistically significant, improvements in self-reported health status compared with usual care. Changes in mortality and hospitalizations were even less clear.7,8 The investigators attributed some of the differences between HF-ACTION and the preceding studies to difficulty of exercise adherence in a large, multicenter population. The difficulty in engaging in and sustaining regular exercise by patients with HF is well recognized. Typically, these patients are older with multiple morbidities; they often are fundamentally limited by deconditioning and have low cardiac output, arrhythmias, anxiety, and depression. Easily implemented, practical interventions that are enjoyable, promote exercise self-efficacy, and increase quality of life are needed. There is emerging interest in the application of “mind-body” exercises such as tai chi for patients with HF,9-12 although little is known about its efficacy in this population. Tai chi (tai chi chuan or taijiquan), is a gentle meditative exercise of flowing circular movements, balance and weight shifting, breathing techniques, visualization, and focused internal awareness.13-16The physical activity of tai chi has been estimated in a range of 1.6 to 4.6 metabolic equivalents, achieving 50% to 74% of the maximal heart rate, depending on the age of the individual and the intensity of practice.17-20 Tai chi may represent an additional exercise option for patients with HF because it integrates multiple relevant processes, including mild to moderate aerobic activity, upper and lower extremity training, and core strengthening. In addition, it includes a meditative component that may enhance stress management, promoting important psychosocial benefits for those living with HF. A growing body of evidence suggests that tai chi may be helpful for a variety of medical issues, including hypertension, mood, impaired exercise capacity,9,21-33 balance, and musculoskeletal disease.29,30,34-47 Preliminary data from a pilot randomized controlled study24 among 30 patients with chronic systolic HF suggested that 12 weeks of tai chi training may improve quality of life, serum B-type natriuretic peptide levels, and 6-minute walk distance when compared with usual care. Other small nonrandomized studies9,26 in patients with HF have also suggested beneficial changes in symptoms, mood, and quality of life. Studies36,48-54 have noted that tai chi is safe, is accessible, and has high rates of adherence. However, to our knowledge, larger-scale clinical trials of tai chi in patients with HF have not been reported. 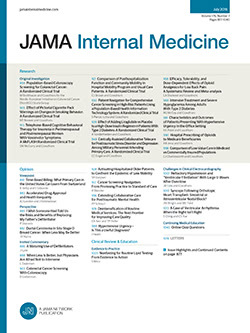 In this context, our objective was to perform a large clinical trial to determine whether a 12-week tai chi exercise program improves exercise capacity and quality of life in patients with chronic systolic HF as an adjunct to standard medical care in comparison with group-based heart health education. We recruited 100 patients from ambulatory clinics (primary care, general cardiology, and specialty heart failure practices) at 3 academic medical centers and affiliated practices in and around Boston, Massachusetts: Beth Israel Deaconess Medical Center, Brigham and Women's Hospital, and Massachusetts General Hospital. Potential participants were identified via multiple mechanisms, including direct physician referral and screening of clinic appointment logs and hospital databases. Patients who chose to participate provided written informed consent and were randomly assigned to receive a 12-week tai chi exercise program or a heart health education program (attention control). All participants continued to receive usual care, which included pharmacologic therapy and general exercise advice per American College of Cardiology guidelines.55 We used permuted block randomization with variable block size to generate treatment assignments. Each institution's human subjects review board approved the protocol. A CONSORT (Consolidated Standards for Reporting of Trials) flow diagram is provided in Figure 1. Inclusion criteria were (1) physician diagnosis of chronic systolic HF; (2) left ventricular ejection fraction 40% or lower in the past 2 years; (3) stable medical regimen, defined as no major changes in medication in the past 3 months; and (4) New York Heart Association class I, II, or III HF. Exclusion criteria were (1) unstable angina or myocardial infarction in the past 3 months, (2) major cardiac surgery within the past 3 months, (3) history of cardiac arrest in the past 6 months, (4) history of cardiac resynchronization therapy in the past 3 months, (5) unstable serious ventricular arrhythmias, (6) unstable structural valvular disease, (7) current participation in a conventional cardiac rehabilitation program, (8) diagnosis of peripartum cardiomyopathy within the preceding 6 months, (9) inability to perform a bicycle stress test, (10) lower extremity amputation or other inability to ambulate owing to conditions other than HF, (11) severe cognitive dysfunction (Mini-Mental State Examination score ≤24), (12) inability to speak English, and (13) regular practice of tai chi. The tai chi intervention consisted of 1-hour group classes held twice weekly for 12 weeks. We used the standard protocol of a pilot trial24 in patients with HF (Table 1). The development of that program was guided by similar interventions used in tai chi trials36 with elderly patients and those with limited mobility. The protocol included traditional warm-up exercises and 5 subsequent simplified tai chi movements. Each cohort was taught by 1 or 2 certified and experienced instructors (6 total study instructors with average experience of 20 years). Warm-up exercises included weight shifting; arm swinging; gentle stretches of the neck, shoulders, spine, arms, and legs; visualization techniques; and traditional breathing methods. These exercises focus on releasing tension in the body, incorporating mindfulness and imagery into movement, increasing awareness of breathing, and promoting overall relaxation of body and mind. The core tai chi movements were adapted from Master Cheng Man-Ch’ing's Yang-style short form13 and performed repetitively. Chairs were provided for resting, and patients were allowed to progress at their own comfort and pace. We provided a 35-minute instructional videotape that outlined the exercises presented in class. Patients were encouraged to practice at home at least 3 times per week. Class attendance was monitored and adherence to home practice was tracked via self-report logs. Participants also received the same educational pamphlets used in our education (control) group (described in next section) with a brief (<5-minute) explanation toward the end of 1 tai chi session weekly. Patients in the attention control group attended education sessions twice weekly (same duration and frequency as the tai chi group). Classes were led by a nurse practitioner and followed the content of the 11 Heart Failure Society of America education modules. An additional module on cholesterol was added, using patient information from the National Heart, Lung and Blood Institute (http://www.nhlbi.nih.gov/health/public/heart/chol/hbc_what.htm). The 12 weekly modules (available at http://www.hfsa.org) included (1) taking control of your HF, (2) how to follow a low-sodium diet, (3) HF medicines, (4) self-care and dealing with HF symptoms, (5) exercise and activity, (6) managing feelings about HF, (7) tips for family and friends, (8) lifestyle changes, (9) advanced directives, (10) heart rhythm problems, (11) new HF treatments, and (12) high blood cholesterol levels. Each module consisted of a pamphlet that was distributed weekly and discussed during the 2 sessions conducted for each module. We asked participants not to start tai chi during the study period; however, they were offered the opportunity to take tai chi classes at the end of the 6-month follow-up period. We obtained all measures at baseline and 12 weeks. Questionnaires and functional assessments were also obtained at 6 weeks. At 6 months, there was a follow-up telephone call during which we administered the Minnesota Living With Heart Failure Questionnaire (MLHFQ) and also asked about tai chi exercise. We masked the study staff performing all tests to each participant's group allocation. Patients performed a symptom-limited exercise test using a bicycle ramp protocol to determine peak oxygen uptake. Testing was done on an electronically calibrated upright bicycle, with expired gas analysis under continuous electrocardiographic monitoring. Blood pressure was measured at 3-minute intervals and just prior to stopping exercise. Participants were encouraged to exercise to exhaustion, and perceived exertion was measured using the Borg scale.56 Breath-by-breath respiratory gas analysis was performed using a metabolic cart (MedGraphics, St. Paul, Minnesota). Peak values were averaged from the final 20 seconds of the test. In addition, patients underwent a 6-minute walk test, a standardized assessment that measures the distance walked in meters down a corridor.57-59 The test was conducted on each of 3 occasions, at least 2 hours before the bicycle ergometer test, using scripted instructions. Patients were allowed to stop as needed if they became fatigued and were informed when there were 3 minutes and 1 minute remaining. We also performed a Timed Up and Go functional assessment,60 which measures the time needed for individuals to stand up from a chair, walk 3 meters, turn around a cone, walk back, and return to a seated position as quickly as possible. For disease-specific quality of life, we used the MLHFQ, consisting of 21 validated items covering physical, psychological, and socioeconomic dimensions (eg, swelling in the ankles, difficulty climbing stairs, fatigue, feeling depressed, spending money for treatment of HF). The score range is 0 to 105, with a lower number denoting better quality of life. Prior studies61 have reported that a score of 7 indicates some degree of impaired quality of life and that an improvement of 5 points represents a clinically significant change. We also used the Profile of Mood States, a well-validated62 instrument for assessing emotional states that are transient and expected to respond to clinical intervention. The instrument consists of 65 single-word items rated on a 5-point scale to indicate recent mood in 6 dimensions: tension/anxiety, depression/dejection, anger/hostility, vigor/activity, fatigue/inertia, and confusion/bewilderment. A decreased total mood disturbance score denotes an improved emotional state.63 Finally, we administered the Cardiac Exercise Self-efficacy Instrument, a validated64 16-item scale that assesses a patient's confidence to perform certain exercise-related activities on a 5-point scale. The score range is 16 to 80, with higher scores denoting increased self-efficacy. B-type natriuretic peptide was analyzed on whole blood collected in EDTA using a commercially available point-of-service meter (fluorescence immunoassay; Biosite Triage BNP Test; Biosite Diagnostics, San Diego, California). Serum samples for measurement of catecholamines (epinephrine, norepinephrine, and dopamine) were collected from an intravenous catheter and stored on ice after 20 minutes of patients resting in a supine position. We also analyzed samples for C-reactive protein, endothelin-1, and tumor necrosis factor. To track patients' physical activity outside of classes, we used the Community Healthy Activities Model Program for Seniors (CHAMPS) questionnaire,65 which captures weekly frequency and total time spent in age-appropriate activities and allows estimation of caloric expenditure. At each testing visit, we collected data on medications and health care utilization (hospitalization, emergency department visits, and outpatient visits). We asked about cardiac and noncardiac illnesses or events, as well as other potential adverse events, including falls. Based on data from the pilot study,24 a sample of 100 patients provided 80% power to detect a between-group difference of 1.5 for the change in peak oxygen uptake, more than 90% power to detect a difference in change in 6-minute walk of 80 m, and 83% power to detect a difference of 12.5 points on the MLHFQ. All statistical analyses were performed on an intention-to-treat basis. Baseline characteristics of patients were compared using 2-tailed t tests for continuous variables and Fisher exact test for nominal variables. Two-sample Wilcoxon rank-sum tests were used to compare the distribution of change from baseline to 12 weeks between groups. We calculated both means and medians (first and third quartiles) to summarize continuous data. To maintain a global 5% level of significance with 3 primary outcomes, we set a nominal level of significance of .017 for each outcome (using Bonferroni adjustment). For primary and secondary outcomes, we also adjusted for baseline values of the outcome variables; we fit a least-squares regression model for each outcome that included baseline value plus treatment indicator and report adjusted P values for treatment based on the Wald test. We fit similar models for exploring the effects in clinically relevant subgroups in which we hypothesized that there may be differences based on previously published information66 on patients with HF (eg, those with more severe symptoms, those with and without devices, ischemic vs nonischemic etiology of HF). We did not impute data but used data available for the patients who were observed at 12 weeks. Characteristics of the 100 patients enrolled in the study are described inTable 2. The mean (SD) age of study participants was 67 (11) years, mean baseline left ventricular ejection fraction was 29% (8%), and median New York Heart Association class of HF was class II (range, I-III). The 2 groups were generally similar in demographics, clinical classification of heart disease severity, and rates of comorbidities. Most patients were on American College of Cardiology/American Heart Association consensus guideline therapy, with 86% of patients receiving a β-blocker and 85% receiving an angiotensin-converting enzyme inhibitor. Of note, 30% of patients reported a history of anxiety and depression. Table 3 presents median outcome measures at baseline and 12 weeks. Although changes in peak oxygen uptake and 6-minute walk were similar in the tai chi and attention control populations, estimated metabolic expenditure (calories per week spent in moderate-intensity activities outside the study class) as measured by the CHAMPS questionnaire increased significantly in the tai chi group (median [first, third quartile], 323 [−27, 710] vs 156 [−929, 334] calories, P = .05). We observed significant improvements in scores on the MLHFQ, Profile of Mood States (total mood disturbance, depression, and vigor subscales), and Cardiac Exercise Self-efficacy Instrument in the tai chi group compared with the heart health education group. There were no significant changes in other Profile of Mood States subscales, and no significant changes were seen in the serum biomarkers. Figure 2 presents changes in the MLHFQ score during the study. In post hoc exploratory analyses, we found that, in patients without implanted cardioverter-defibrillator devices (n = 50), the tai chi group experienced improved MLHFQ score significantly more than the education group (median [first, third quartile], −11 [−23, −4] vs −4 [−12, 7], P = .04) . Improvements in the MLHFQ score with tai chi were also pronounced in the subsets of patients with New York Heart Association class II and III symptoms (n = 80) (median [first, third quartile], −11 [−23, −3] vs −7 [−17, 2], P = .01) and those with a nonischemic etiology of HF (n = 46) (median [first, third quartile], −18 [−23, −3] vs −5 [−16, 2], P = .03). We also found a statistically significant difference in change in use of statin medication during the 12 weeks, with 6 patients (12.0%) in the education group either increasing their dosage or starting a new medication, and 1 patient (2.0%) in the tai chi group discontinuing the medication (P = .01). In addition, we found that participants with a higher baseline resting heart rate had greater improvements in the MLHFQ score in the tai chi group (β coefficient [SE], −0.52 [0.1], P = .009); there was no association in the control group (β coefficient [SE], 0.06 [0.2], P = .78). The mean (SD) resting heart rate in the tai chi group was 71 (11) bpm (range, 50-100 bpm). At 6 months’ follow-up (3 months after the intervention ended), there remained a trend toward improved MLHFQ score in the tai chi vs education group (median [first, third quartile], −12.5 [−23, 3] vs −4 [−18, 3]); however, this difference was no longer significant. Adherence to the study protocol was good. The mean proportions of classes attended were 18 of 24 (75.0%) and 16 of 24 (66.7%) in the tai chi and education groups, respectively. The mean (SD) number of hours of home tai chi practice during the 12 weeks was 9.6 (9.9) hours. At 6 months’ follow-up telephone contact, 34 patients in the tai chi group (68.0%) reported continued practice (including daily, weekly, and monthly). There were no adverse events related to the protocol. However, we documented several events during the study period, including 3 deaths (in the education group), 6 hospitalizations (HF exacerbation/angina/shortness of breath: 2 in the tai chi group and 4 in the education group), 2 arrhythmias (in the tai chi group), 2 episodes of syncope (in the education group), and 3 falls (2 in the tai chi group and 1 in the education group). As a complement to standard medical care, we found that tai chi has potential clinical benefits including enhancement in quality of life, mood, and exercise self-efficacy, despite the absence of differential improvement in peak oxygen intake and 6-minute walk test compared with education only. While outcomes in these traditional exercise parameters did not change significantly between groups, the low-intensity tai chi program seems to have achieved other measurable training benefits, including increased daily activity (as measured by the CHAMPS questionnaire) and related feelings of well-being. One of the purported mechanisms of mind-body exercises, such as tai chi, is favorable modulation of the autonomic nervous system. In our post hoc analyses, we found that, in participants with higher resting heart rates (and presumably more sympathetic nervous system “overdrive”), there was a greater benefit with tai chi. The pilot study24 of tai chi in patients with HF reported larger changes in outcomes (improvements in quality of life, exercise capacity, and B-type natriuretic peptide). The mean resting heart rate in the tai chi group in that study was somewhat higher than that in the present study (75 vs 71 bpm), possibly contributing to the differences in findings between the 2 studies. These observations need further investigation but may offer insight into which subpopulations of patients may respond better to a mind-body exercise intervention. This study has several limitations. First, patients were not masked to intervention group. However, we attempted to minimize the potential effects of disappointment in the education group by offering tai chi classes at the end of the 6-month follow-up period. Second, with a sample of 100 patients, only a small proportion of eligible patients enrolled in this trial, which could introduce selection bias. In addition, we are unable to provide a definitive physiological mechanism for tai chi's effects. Nonetheless, this study provides informative data from the first large-scale clinical trial of tai chi exercise in an HF population. In conclusion, tai chi exercise, a multicomponent mind-body training modality that is safe and has good rates of adherence, may provide value in improving daily exercise, quality of life, self-efficacy, and mood in frail, deconditioned patients with systolic HF. A more restricted focus on traditional measured exercise capacity may underestimate the potential benefits of integrated interventions such as tai chi. Future steps should include research at both ends of the translational research continuum. At the pragmatic end, we might explore how these clinical observations translate into community-based programs, the feasibility of more wider spread implementation, and cost-effectiveness studies. At the basic science end, we need further study of the mechanisms by which tai chi benefits patients with cardiovascular disease and to better understand how the multiple components of tai chi (eg, deep breathing, aerobic exercise, cognitive restructuring, and social interactions) might affect various outcomes (eg, autonomic physiology, exercise capacity, or mood). This elucidation of plausible physiological mechanisms may allow us to better tailor our interventions, target subpopulations with specific constellations of symptoms, and further support clinical findings. Correspondence: Gloria Y. Yeh, MD, MPH, Division of General Medicine and Primary Care, Beth Israel Deaconess Medical Center, 1309 Beacon St, Second Floor, Brookline, MA 02446 (gyeh@bidmc.harvard.edu). Accepted for Publication: December 27, 2010. Author Contributions:Study concept and design: Yeh, Wayne, Stevenson, Wood, Davis, and Phillips. Acquisition of data: Yeh, McCarthy, Stevenson, Wood, Forman, and Phillips. Analysis and interpretation of data: Yeh, McCarthy, Wayne, Stevenson, Forman, Davis, and Phillips. Drafting of the manuscript: Yeh and Phillips. Critical revision of the manuscript for important intellectual content: Yeh, McCarthy, Wayne, Stevenson, Wood, Forman, Davis, and Phillips. Statistical analysis: Yeh, McCarthy, and Davis. Obtained funding: Yeh, Wayne, Wood, and Phillips. Administrative, technical, and material support: Yeh, McCarthy, and Forman. Study supervision: Yeh, Wayne, Stevenson, and Phillips. Funding/Support: This study was supported by the R01 AT002454 award from the National Center for Complementary and Alternative Medicine (Dr Phillips) and in part by grant RR 01032 from the Beth Israel Deaconess Medical Center General Clinical Research Center from the National Institutes of Health (NIH). Dr Yeh was supported by the career-investigator award K23 AT002624 from the NIH National Center for Complementary and Alternative Medicine (NCCAM). Dr Wayne was supported by Center grant U19 AT002022 from the NIH NCCAM. Additional Contributions: We thank Charles Blatt, MD, James Chang, MD, Ary Goldberger, MD, Monique Nestor, NP, Diane Perry, LPN, CCT, and Mark Stockman, MD, for their invaluable contributions to the study. We also express gratitude to all our study staff who worked tirelessly on this project for many years; a special acknowledgment and appreciation also go to each of our tai chi instructors for their enthusiasm, support, and wisdom. Finally, we offer sincere and heartfelt gratitude to all the patients involved in this trial who provided the inspiration for this work.